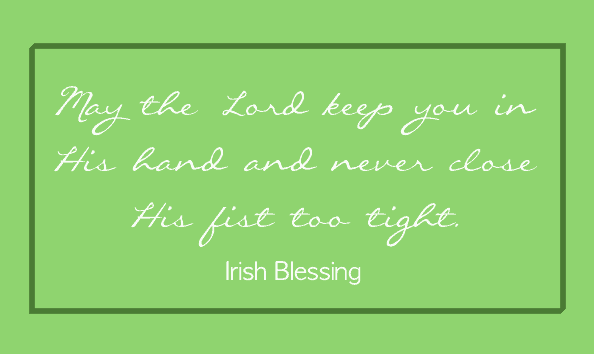 You’re on Irish Blessings, page 1 of 6 Irish Blessings, Quotes, Toasts & Sayings. See related pages at bottom. 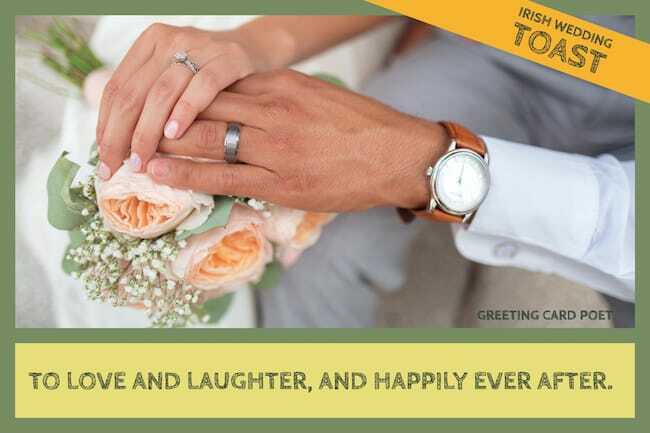 Irish blessings, sayings and expressions can be used for wide variety of occasions including St. Patrick’s Day, birthdays, anniversaries, weddings and more. Review the list below – in its Quick Glance format – and find some to your liking for friends, family or loved ones. Brighten someone’s day. When I count my blessings, I count you twice. May God bless you. That they be damned for all eternity. May you die in Ireland. May happiness often enter your gate and stay very late. May joy be at home in your heart. And may you die in Ireland. every gentle wind that blows send happiness to you. And may troubles ignore you each step of the way. happiness come through your door. God between us and all harm. Wishing you a pot o’ gold, and all the joy your heart can hold. May you get all your wishes but one so you always have something to strive for. May happiness often enter your gate and stay very late. Happy St. Patrick’s Day. May this home and all therein be blessed with God’s love. May the grace of God’s protection and His great love abide within your home and within the hearts of all who dwell inside. May your home be filled with laughter, may your pockets be filled with gold, and may you have all the happiness your Irish heart can hold. happiness be with you now and bless you evermore. a bit of o’ sun, a bit o’ cheer and a guardian angel always near. When the first light of sun bless you. When the long day is done bless you. In your smiles and your tears bless you. Through each day of your years bless you. and may God send many blessings to you. 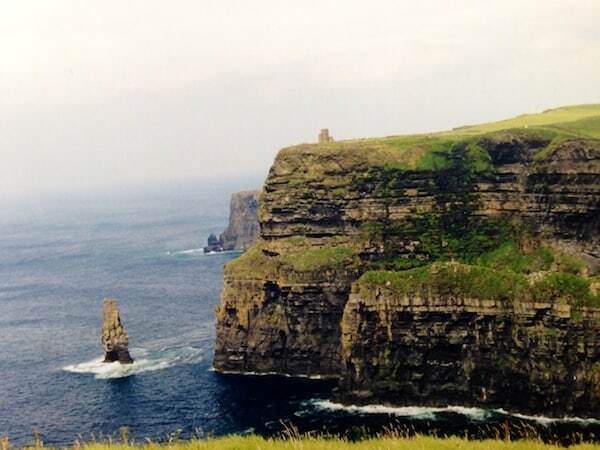 What’s are your favorite Irish sayings? Please let us know. May the lilt of Irish laughter Lighten every load – May the mist of Irish magic Shorten every road and may you taste the sweetest pleasures That fortune ere bestowed, And may all your friends remember. All the favors you are owed. Do not resent growing old, for many are denied the privilege. May you be half an hour in Heaven before the Devil knows you’re dead. To love and laughter, and happily ever after. If you have any more Irish blessings or toasts you’d like to see us include, please contact us. Send your friends some good luck their way with these heart warmers. 6: Happy St Patrick’s Day!